What's This Up Helly Aa Festival Then? On a chilly wee island in far north Scotland, the town is alive late into the night with song and dance and single malts that will put hairs on your chest and a fire in your belly. 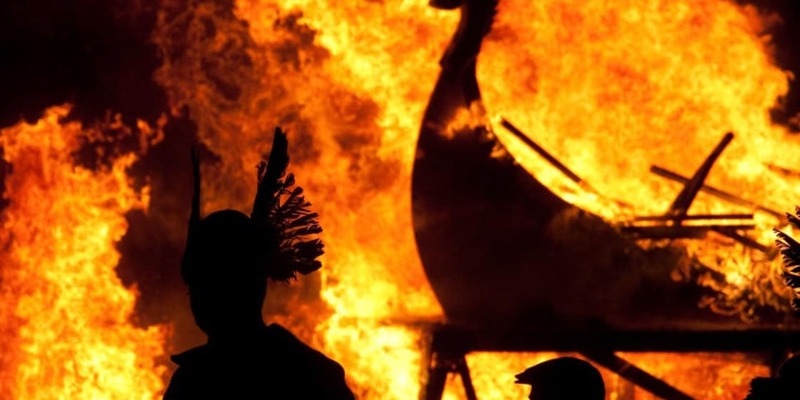 The riotous energy of Up Helly Aa includes a fire procession carried aloft by thousands of folk players and their Viking king in an annual display of festivities that harks back 1874, marking the end of Scottish Christmas season. A Proud History Burning Bright. Way back when Up Helly Aa began, hoards of young men dragged barrels of burning tar through the town on sledges, causing decidedly medieval mischief. Oh, the youth of yesteryear! Nowadays, this kind of revelry is considered a frightful health and safety risk but the spirit of the festival with its flaming troupe and street carnival is an undying tradition that welcomes people from all over the world. It's all heritage fun and games but the Chief and his squad of merry men do take it very seriously, spending up to 2 years designing and making their own suits to a new theme each time. So now you know what gents of Lerwick do in the garden shed of an evening! 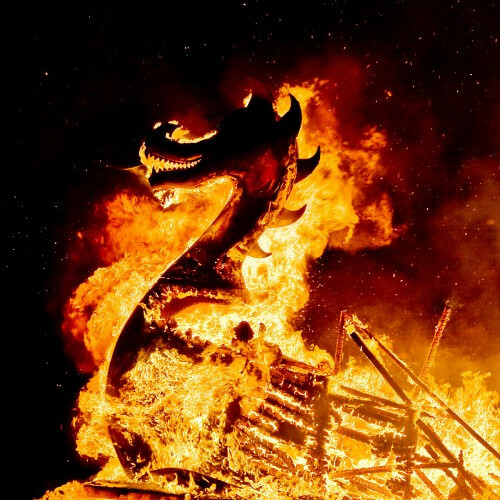 Quirky medieval Scottish fire festival. Amazing time to visit these lesser known Scottish islands.